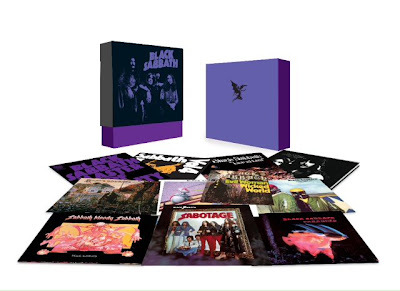 Black Sabbath have announced the upcoming release of a new box set. - 9×12” LP: full reproductions of the original album releases, remastered from the band’s personal archives on 180-gram heavyweight vinyl. - 7” single: featuring the band’s debut single 'Evil Woman' and non-album B-side 'Wicked World'. - 12” x 12” hard-backed book: containing original tour programmes from 1970, 1975, 1976 and 1978. 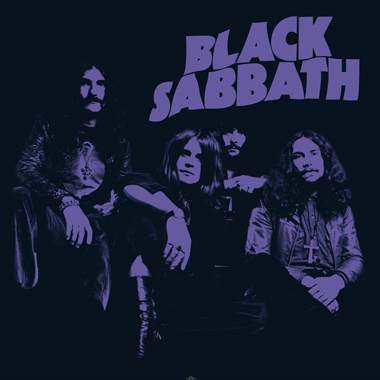 - Remastered at a 24-bit/96kHz resolution for a listening experience closer than ever before to being in the studio at the original Black Sabbath recording sessions. - Includes an exclusive limited edition 12×12 print of the box set design. Only 50 prints available. “Black Sabbath - The Vinyl Collection: 1970 – 1978” is available for pre-order now at this location. While the box set features all original Sabbath members, the band’s current reunion attempt failed to secure the services of drummer Bill Ward, who is sitting things out over a contract dispute. Ozzy Osbourne’s drummer Tommy Clufetos handled drum duties for three Sabbath live shows this year in Ward’s absence. Meanwhile, Ozzy, Tony Iommi and Geezer Butler continue work on a new album with producer Rick Rubin, which is due for release next April.